Usually, a perfect living room is considered to be one which features all the classic design lines and elements, and follows a colour palette of your choosing. So what are the rules for a perfect living room, and must we adhere to them all the time? Basic rules that have to do with furniture placement as well as decor should be taken into account while creating a classic, wholesome look that makes for a comfortable setting. Yet ideally, you should also be ready to tweak the rules a little. What’s the fun in implementing the same old, routine ideas for your living space when there are so many options to pick from for an impressive and unique look? 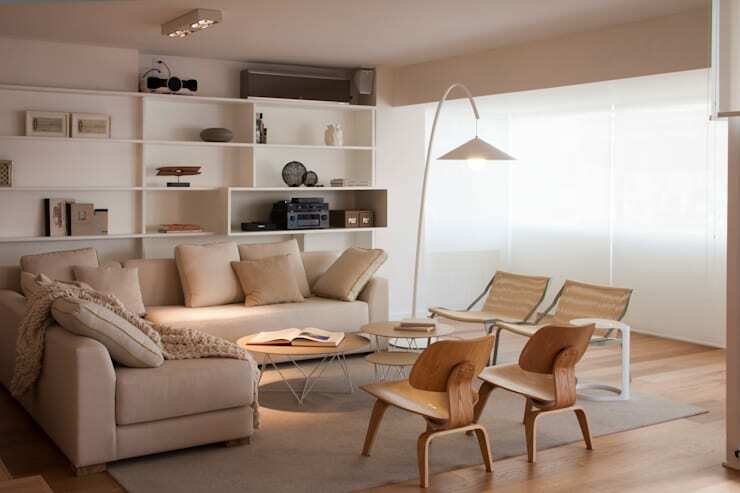 So read on to know more about the living room rules that need to be broken now! There is no rule that says that your living room must have a sofa. A sofa is only one kind of seating – and trust us, there are numerous other options out there, waiting to be explored! While there is something to be said about the comforts of a roomy couch, you can do away with it altogether, especially if you have a smaller space. Take four chairs or even a couple of ottomans and place them around a coffee table. Add a moulded swing in cane or wicker in the corner and get yourself some living room fun! Try platform seating or low seating that creates the illusion of space. Team this up with lots of throw pillows as well as floor cushions and a vibrant rug for a cool look! 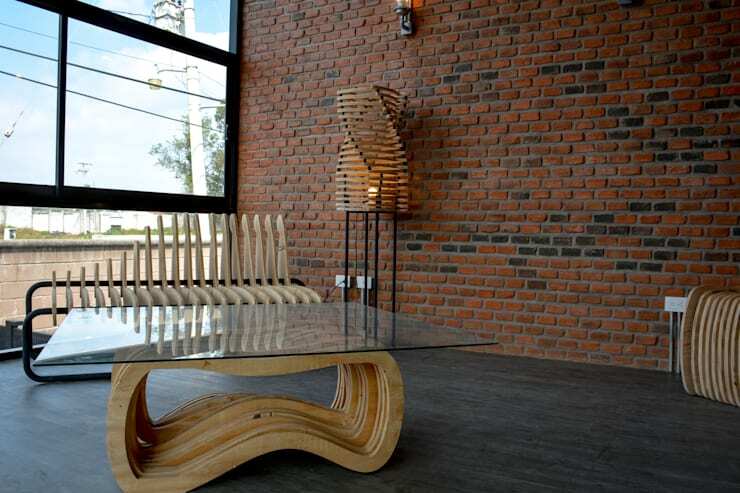 You can also go for something completely exclusive and futuristic like the skeletal looking bench shown above. You heard us right – the TV does not have to be the star of the living room. In current times, the TV has become the piece de resistance of most living rooms because smaller spaces have come to imbibe a design scheme that has no space for a den or study along with an entertainment centre. While this dilemma is understandable, there is still no need for the TV to take the centre stage. In your living room’s furniture arrangement, the emphasis should be on sharing rather than staring at the TV. Do not face all your furniture or point all your seats towards the TV. Place your furniture the way you would for a conversation to ensue over a coffee table. The TV can be behind two chairs or in a separate corner of the living room, which is absolutely fine! 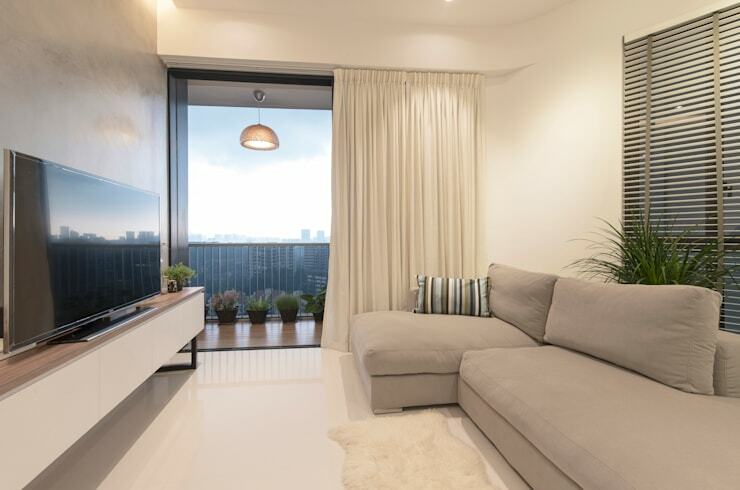 If you are unsure about the wall colour that you want for your living room, it is best to go for white because that’s a colour that you will never get tired of. The choice of the perfect colour for the living room is one that plagues even the most experienced designers. Dark colours, vibrant colours, pastels or earthy shades with an accent wall – the options are myriad. But for any kind of space – big or small – white is the best option for the simple reason that it can integrate each and every design or décor element easily and accommodate the beauty of various themes. Go minimalistic with chrome and glass or bring in neutral-toned furniture and add vibrant throw pillows and cushions – the choices are unlimited with white walls! You can add a single accent wall with a subtle texture and a different colour if you really want something that will pop out and hold the attention of your visitors. A lively space is a living space. That’s the mantra of the perfect living room. From the quirkiest to the most sophisticated, there are many touches that home owners and designers add to a living room in order to make it look fresh. If you thought that a living room without plants is a dead one, then you couldn’t be more wrong. There are numerous ways of adding a touch of rejuvenation to your space – and potted plants are only one of them. A look that invigorates the senses can also be achieved with the help of elements like stones, sand, driftwood, dead branches and more. Bring out a Zen tray and add white sand as well as miniatures for a tiny Zen garden on your coffee table, or simply add a bowl of stones for a soothing effect. Go au natural and add some driftwood or coral you picked up from your last beach vacation or even pine cones from a weekend in the hills! Take a hint from this eye-catching living area designed by Studio Uwe Gaertner Interior Design & Photography, interior architects from Germany. A fun vibe or a quirky one can be introduced in a living room with a mere mix and match of varied design elements and furniture styles. Don’t be afraid of mixing furniture styles which don’t traditionally go together! This will let you incorporate an eclectic touch into the scheme of things. A classic coffee table paired with smart new age chairs can start a conversation too! Your windows can look beautiful and appealing without curtains. Yes, that’s true! You do not have to have curtains to enhance the prettiness quotient of your living room, as long as your privacy is not compromised. You can leave the windows sans curtains, especially in a small space with floor to ceiling windows, or where an entire wall has been devoted to the elegance of glazing. This will lend an open, airy and bright look to your living room and make it appear bigger than it is. The experience of soaking in the beauty of the outdoors will also become a whole new thing, especially if your abode is surrounded by nature’s bounty as pictured above. There are many home decor options in the market as well as the interior designing niche today that help you experiment and think outside the box. Use these tips to create a unique fashion statement with your living room – one that is as unique as you are! 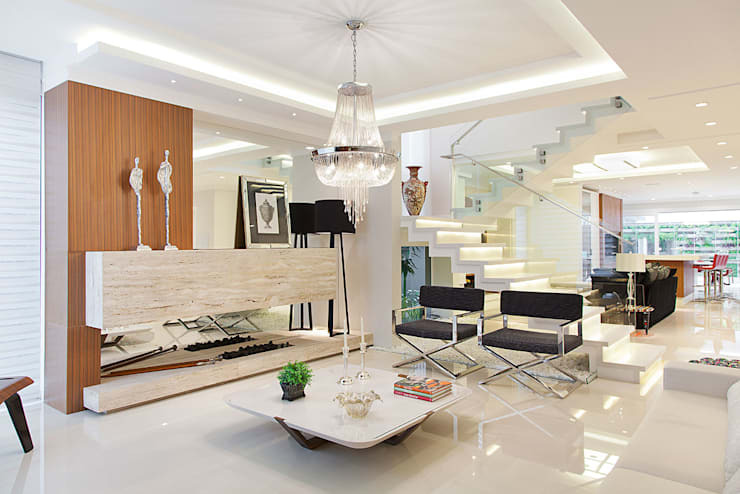 An impressive space is not one that adheres to all the rules – it is one that makes its own rules! For more ideas, feel free to take a look at this ideabook - Which layout is best for my small living room?